← Online Income Potential: Just How Big Is The Online Market Anyway? If you are looking to make money part time then you don’t want to spend days setting up a website. Fortunately, thanks to WordPress, you can have a professional looking website up and running in a few minutes. One of the other great perks about WordPress is the fact that it is free. The first thing you need to have when setting up WordPress is a website. There are a few ways to address this issue. The easiest way, which is also free, is to go to WordPress.com and register there. You will be able to set up a WordPress website in a matter of minutes. You have limited themes to choose from (a theme specifies how your website looks) and you also can’t upload a custom theme. You don’t have access to plug-ins. Plug-ins are small programs that integrate into WordPress and provide extra functionality and features – some of which are very useful, and some of which can be used to enhance your online business. If you want full access to all WordPress features and functionality then you will need to find a host provider. For this website I’m using WordPress Express – the free unlimited hosting included with my Wealthy Affiliate membership. Another good option is GoDaddy. GoDaddy has easy one click setup of WordPress websites. By using a host provider you also have full control over your domain name. Once you have WordPress installed you can log in to your administration area by going to the address /wp-login.php on your website. A theme defines how your website looks. There are many, many themes that you can choose from which are free. There are also themes that you can buy. To select your theme, click on ‘Appearance’ in the left column menu in the admin area. You will be able to browse the various available themes until you find one that you like. WordPress is very flexible and allows you to not only manage a blog but a hierarchy of static pages as well. When you create your website you will need to decide how you structure your site. The most common approach is to simply have your home page show your blog posts. From here people often add an about-me page or FAQ and add it to the menu. When you first install WordPress this is the default structure. You can add blog posts in your administration area by clicking on ‘Posts’ in the left column menu. You can add static pages by clicking on ‘Pages’ in the left column menu. You will notice that I have things set up a bit differently on this website. My home page is a static page. My blog posts appear under my blog page which is accessible from the menu. I also have a few other static pages which you can access from the menu as well. Now, whenever you make a blog post, it will automatically appear on your blog page. Now that you have a functional website you can start adding content. I recommend you keep a schedule and post to it on a regular basis at least once or twice a week. Take a look at this article if you want to know how to make money with your WordPress blog. 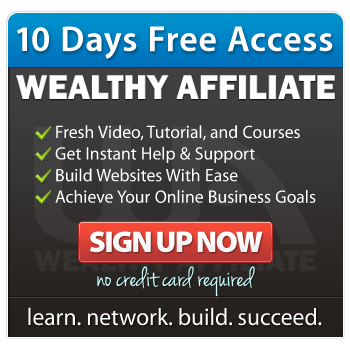 You will also need to start driving traffic to your website. There are many ways to do this such as implementing a PPC campaign, article marketing, back linking, SEO techniques, and more. The most important thing is that you have fun and enjoy the process. If you don’t then your website will become a chore and you will resist working with it. If this is the case consider changing the topic of your website to one that you enjoy talking about. This entry was posted in Website Development and tagged wordpress. Bookmark the permalink.